I wanted to take a moment to extend my deepest sympathies to the families and friends of the victims of last Friday's horrible event in Connecticut. I can't even imagine what you must be going through. I am praying that God will give you comfort, and a peace that passes understanding in the midst of this terrible loss. 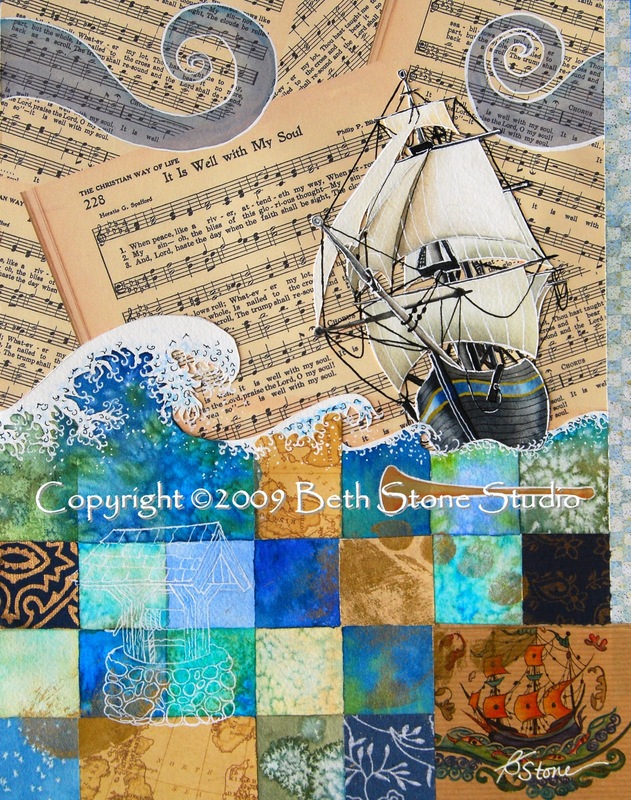 The above collage was inspired by the hymn "It Is Well With My Soul." This hymn always touches me. The perfect one for this terrible, terrible tragedy. The collage is lovely as well. Every time we sing this hymn in church, I get choked up. Only the grace and peace of God could have allowed the author to write it in such tragic circumstances. God's peace truly does pass understanding. I love your collage! Great message and artist rendition. I always love looking at your art. Keep it up. Yes, this. Beautiful post, Beth.